[ICSE] Kai Chen, Peng Liu, Yingjun Zhang, “Achieving Accuracy and Scalability Simultaneously in Detecting Application Clones on Android Markets”, ICSE 2014, regular paper, June 2014. 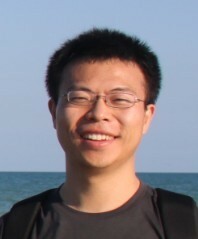 [ASE] Chuangang Ren, Kai Chen *(co-first author), Peng Liu, "Droidmarking: Resilient Software Watermarking for Impeding Android Application Repackaging," ASE 2014, Sept. 15-19, Sweden, 2014. [SIM] Mingyi Zhao, Jens Grossklags and Kai Chen, "An Exploratory Study of White Hat Behaviors in a Web Vulnerability Disclosure Program", ACM CCS Workshop on Security Information Workers, 2014. [SEPCOM] CHEN Kai, SU Purui, ZHANG Yingjun, FENG Dengguo, "SEPCOM: Customizable Zero Copy Model," Proceedings of the Valuetools, 2007.